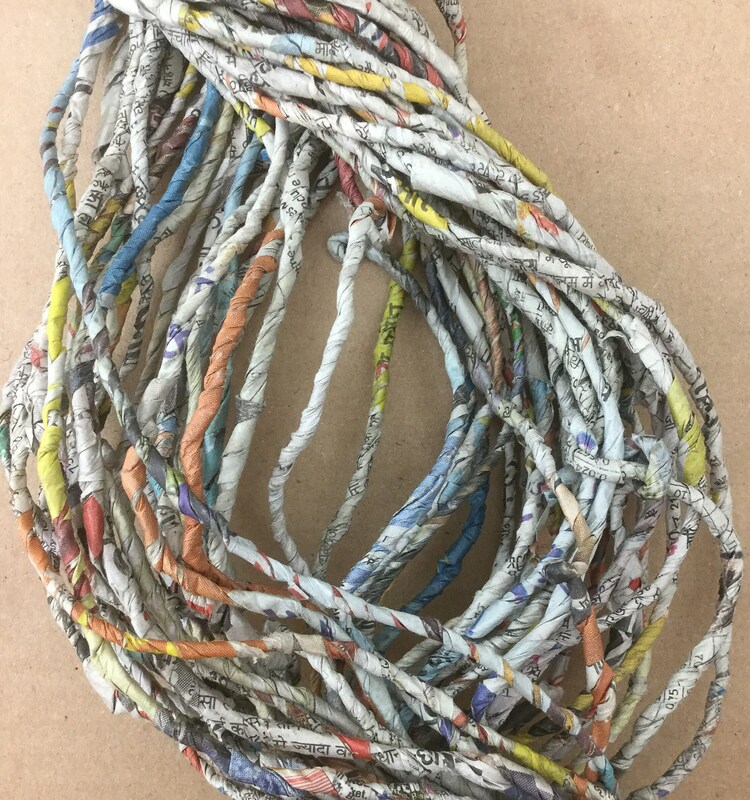 Multicoloured Newspaper Yarn - an unusual stiff yarn handmade made in India. 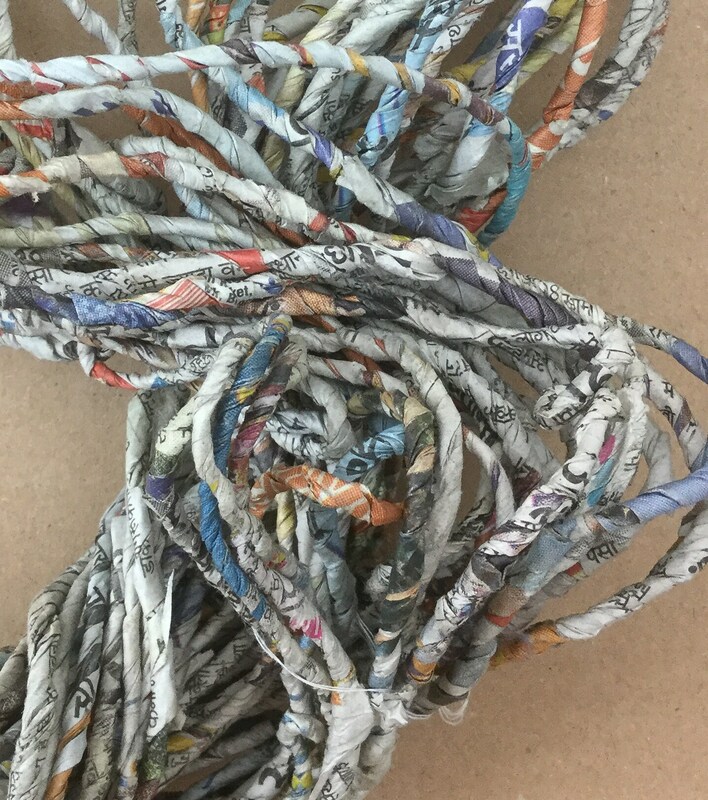 The yarn is hand twisted from recycled newspapers: chunky: colourful: includes foreign texts. 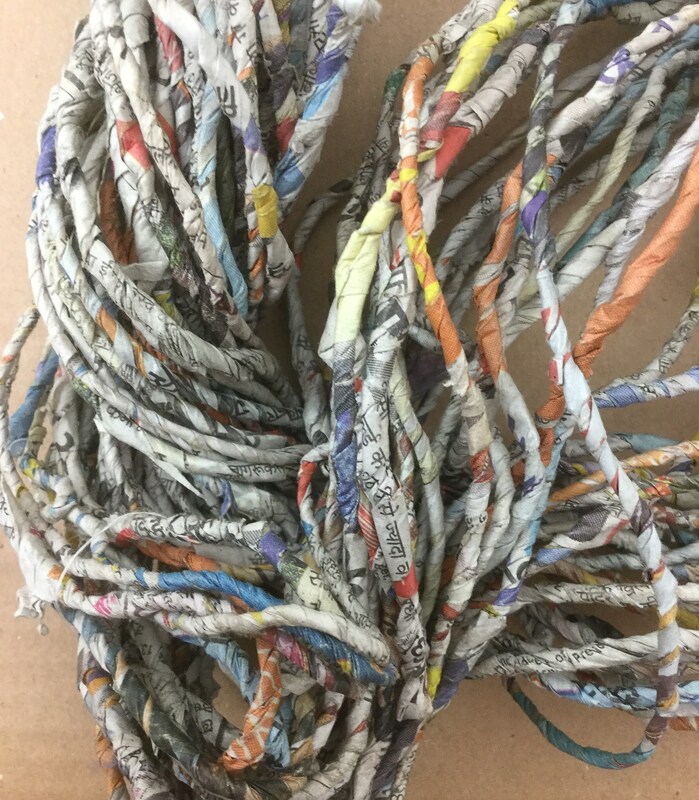 Useful for Basketmaking, Weaving, Fibre Arts and many other disciplines, limited only by your imagination. Each hank is uniquely different. 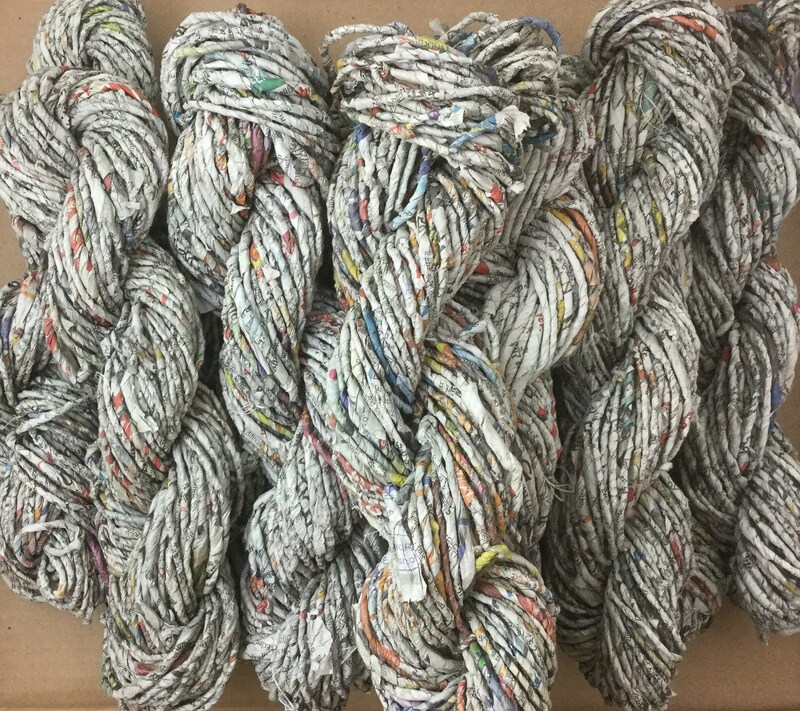 This listing is for 1 x 100g hank.